There was good news for League of Ireland fans today as the Football Association of Ireland confirmed that clubs can now share match highlights online as they happen. Up until now, clubs were restricted from showing any action from their matches until Soccer Republic - RTE's League of Ireland highlights show which is broadcast on a Monday night - is over. But in instances when there is no live match on RTE on a Friday - they will show 18 live games this season - fans had to wait 72 hours before they could watch goals from around the country. From this evening, all goals and highlights can be shared as they happen. 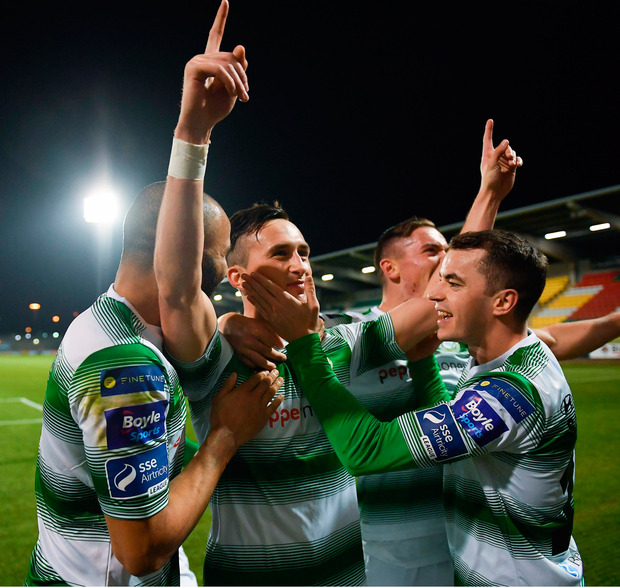 "The SSE Airtricity League can confirm that following discussions with RTE, clubs can now broadcast goals from their matches on their official club social media channels," read an FAI statement. "RTE have removed the embargo on clubs promoting their own sourced goal footage until after the Soccer Republic show on a Monday night. "This decision follows talks on Monday, February 25 between League officials and RTE Sport and is welcomed by the SSE Airtricity League." RTE have scaled back its Soccer Republic show on a Monday night to just a half an hour without any studio analysis or debate but will increase their live offering to a three-hour show which will include goals from around the country.